What Have We Learnt from BBC Radio 1? The intrepid organisers of this year's Student Radio Conference invited me to speak about 50 yrs of Radio One. That was kind. Much as I would have thoroughly enjoyed reminiscing fondly in front of the bored faces of bright young things, I thought it might be more useful to use the Radio One story - then and now - to illustrate a few radio 'truths'. There’s a time and a place to launch a radio station. Seizing the zeitgeist gives welcome momentum. The 1960s was ripe for a spirited spunky rebellious upstart. Identify a poorly-served and sufficiently large market. In the '60s, life was simple. No-one was targeting younger listeners, save for nightime Radio Luxembourg. Now, Radio One still attracts over a third of 15-24s, listening, on average, for over six hours each - and around a quarter of 10-14s. It's not a shoddy achievement - in such a different world. Draw upon the best influences. Steal. Don’t be shy. 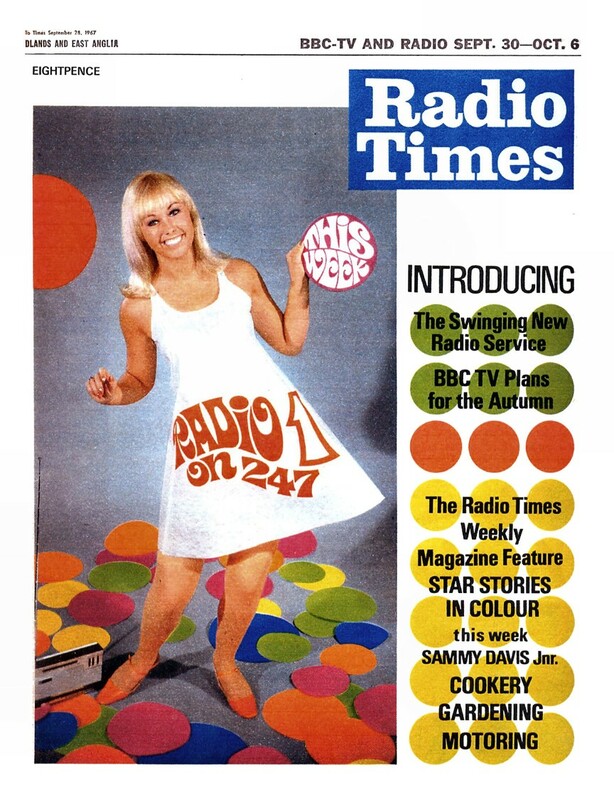 Radio One targeted the old pirate audiences and it chose as its model not the original pirate station Caroline, but the polished US-backed Radio London. Where can you learn from - at home, around the world and in different media? Sound as if you’ve always been there. As Arnold barked and Blackburn said hello on Saturday September 30th 1967, he sounded as if you’d joined him when the party was in full swing, but a party at which you felt immediately at home. Great stations never sound like an exclusive club. Get on the right platforms. Whilst FM spectrum was available in '67 - and shortly to be used for the first BBC local stations - FM ('VHF') sets were rare. 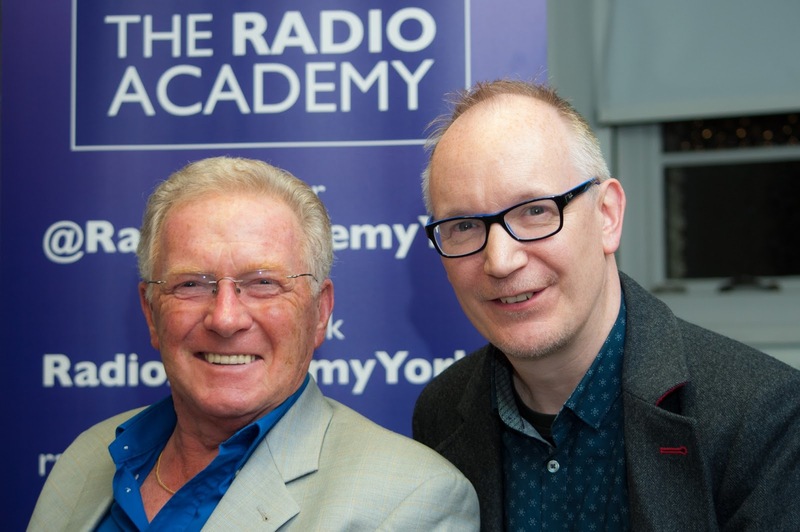 Radio One broadcast only on AM at launch - universally available on the cheapest radio sets - and where the audience had found its pirates. The BBC, however, fell behind the curve on eventually finding FM spectrum for Radio One, much to the chagrin of its Controller. It is now usually ahead of the game. Brand confidence. Radio 1 has usually led rather than followed. It's what makes you distinctive.What do you stand for? Is it an aspiration with real listener appeal? Do your listeners know that distinction the second they tune in - by what you say and DO? What listeners infer about you is what your brand really is. Look for the best talent in the right places and try them out. Radio 1 at launch took on a swathe of ex-pirate presenters, already well-known. At a time when few were likely to be offered gigs elsewhere, it had the luxury of being able to offer a bundle of short term contracts whilst it polished its plans. Since then, the Radio 1 talent machine has always excelled and sought to identify the right places for the candidates it needs to position the station where it desires. It's now plugged well into university radio, the music world and social media content creators. Good looking talent. Even in its early days, Radio 1 identified that it needed to look good as well as sound good. 24-year old Tony Blackburn was a pin-up. 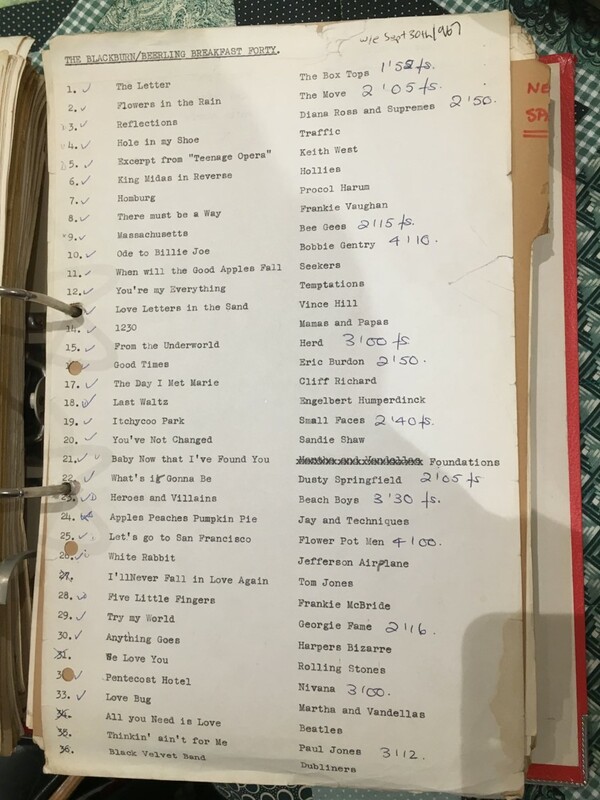 Via TOTP, appearances, its presenters were in vision long before the digital days. Get the visuals right. 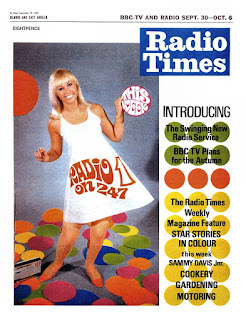 Wonderful Radio 1 in '67 looked fabulous in a swinging London. Through its ages, it has always updated its visual identity just enough. Through the red white and blue seventies through to the more serious positioning of the '90s and today. Great stations now care about how they look - and Radio 1 almost always has. Its roadshow quickly looked the part, at a time when many of its commercial competitors cared little about how they expressed themselves off-air. Great on-air imaging. Some stations just identify – others truly image. 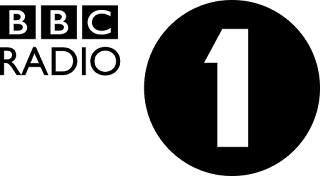 Radio 1 has always done the latter – from the fine work from the World’s then greatest jingle company, PAMS in '67, to the array of impressive production houses it calls upon today from Wise Buddah to Contraband or Daniel Mumford. A remarkable breakfast show is critical – the best at what it does. Breakfast shows make a real difference – and some great stations even concede that their flagship show may not be entirely on-brand – but close enough. The breakfast battle is a different one from the rest of the day. Blackburn, Read, Smith, Mayo, Edmonds, Evans, Moyles. Some presenters don't suit breakfast. As the great Mark and Lard and Steve Wright illustrated - you can be an inventive, gifted jock, but find breakfast a peculiar gig. Some presenters are not at their best at the crack of dawn - and listeners sometimes just can't tolerate at breakfast what they can handle in other dayparts. It's not your fault. Manage the talent well. Radio 1 has not shied away from making use of talent who might be a tad challenging on occasions. That's no reason not to hire them. It just needs talented management who fight the corner for the likes of Everett, as Johnny Beerling did, or Moyles. Show them love and support them - but know when to move on decisively. PR and 'Statement Moves'. Radio One has usually managed its image with care. Throughout history, whether it's 'banning Quo', 'ditching jingles' or the trumpeting of talent on the schedule who send off the right message at the right time, it's all helped. 'Brand me'. Most up-and-coming jocks now already have an image and impressive social media presence before their first major radio berth. Similarly, the early Radio One presenters also brought their own followings and were careful to portray their image with care. Relatable enough - but aspirational enough too. The mate you'd love to have. One thought - one link, said a notice on the wall of Radio One as it fought against a growing commercial sector. In breakfast radio on busy commercial stations, that’s a tough call, but the objective is sound. Do one thing well – and your link will be remembered. Get the music right. 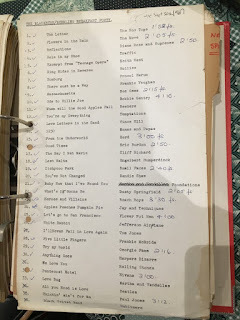 Early Radio One producer Tim Blackmore confessed to me that he, Johnny and Tony dreamt up the original Radio One breakfast music policy (see pic), based on the American-inspired music policy of pirate Radio London. Music scheduling is more sophisticated these days - and the insight available into music trends and consumption ever more detailed. A coherent approach, fuelled by the best intelligence, interpreted by the best brains. Ratings by day - reputation by night. Radio One was king of this at its height - when the biggest ratings were the key objective. The great specialist shows maximising off peak audiences - and adding credibility to the brand - but not lessening daytime share. Evolve the brand. Radio One learned the hard way, in the mid nineties at a time when politics had no patience, that audiences don't like revolution. Elsewhere, relative stability has been a hallmark of Radio One - and listeners value that. But do worry about what your audience think of you - and worry about what the target might think of you in five years' time. Adjust with care and take the listeners with you. The BBC has announced it is to shut down the AM frequencies of its local radio services. 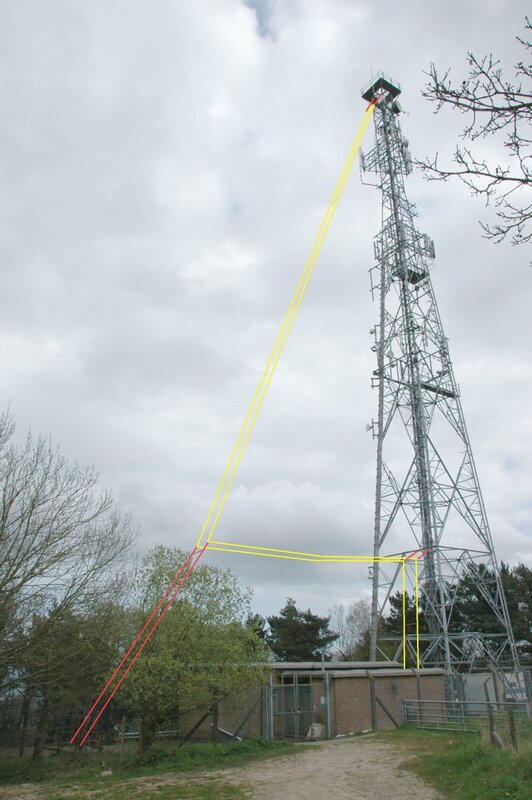 It will close 13 medium wave transmitters in January 2018, with BBC Sussex, Surrey, Humberside, Wiltshire, Nottingham, Kent and Lincolnshire no longer available, and reduced coverage for Devon, Lancashire and Essex. Cue nostalgic formal announcements before a jaunty Radiophonic Workshop news jingle - "This is BBC Radio Nottingham on 197 metres medium wave, 94.8 VHF and Rediffusion Channel C". From my experience, the AM frequencies have rarely been mentioned in recent years on many BBC local stations, and one imagines the audiences are low. Experiments in some areas of switching them off as an experiment to see if anyone moans has been useful – producing little response in some areas and more significant in others, such as Merseyside. It’s a no brainer, in my view, and I suggested switch-off to the BBC in 2009 as part of a raft of easy cost-savings. Now, the BBC has its FM, often equipped with enough power to reach Poland - and DAB – and online streaming. There is really no need to continue to transmit on AM. Let's recall that AM was only intended to be a shoulder to lean on for BBC local radio. The first stations were launched solely on the new VHF (FM) in the late '60s, a little like launching on DAB in the 90s when sets were sparse. In Autumn 1972, the valiant pioneer stations - and the newcomers - were offered AM back up, just to make sure they could be heard more widely. FM can now stand on its own two feet, surely, not least now with help from its digital brothers. 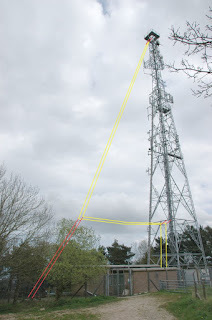 Yes, a small number of people will have to re-tune, or invest in a bright new DAB radio, and a small number of others may lose the signal entirely – but this is radio, and we accept by its very nature that there will always be poor spots in all transmission footprints. However, the beauty of DAB is that extra transmitters on the same frequency can boost signals where they are really needed – and there’s online streaming too as a fall-back. If the FM/DAB MCA is insufficient in any specific area owing to geographic factors, then they should be topped up, rather than relying on vintage AM tech. I have to say it surprises me that BBC local radio is on Freeview these days, albeit in mono. (Blog amended). I gather the cost of implementation is low - although it would be interesting to know how low - and whether there is an opportunity cost. Whilst it's a sound and thoroughly understandable vision to appear on 'all platforms', a cost-benefit analysis is, of course, needed for each. And I'm sure someone will remind me why we need BBC Radio London on satellite. There must be a jolly good reason. BBC local radio spends 11% of its overall budget on distribution (16/17) - and a further 10% on distribution and support. DAB is clearly a good idea, although I imagine someone is scratching their head and wondering whether the reserved 128 kbps stereo (the same as Classic FM or Radio 1), with its commensurate cost, is really needed for the speech-intensive local radio format - and whether each of the stations really needs to invest in such hefty capacity. The local network needs to make savings - AM is a sensible one. Uniquely-gifted voice artist Peter Dickson and I ended up chatting about changing vocal styles when we met to record his edition of the Conversations series. 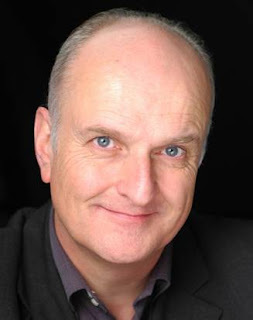 As soon as he mentioned BBC Home Service stentorian newsreaders like Brian Perkins or Peter Donaldson, I could hear those influences in his own voice work. There is little doubt in my mind that their DNA exists in his own vocal range, and as he gets psyched up to assume the character of the X Factor voice, it does appear to me to be reminiscent of how Peter Donaldson might have sounded when shouting on the touchlines . As we went on to agree, there is something of our radio heroes in all of us. Like a mongrel dog, we merrily assume all manner of genetic make-up from the voices which inspired us. We naturally season it with something of ourselves and create the person we are on-air. And, as those genes are passed down again, so the style of on-air presentation across the country evolves. In this country, we did not really experience too much of the ‘bossjock’ radio sound of 1950s/60s US radio, with its booming, slick voices – a presentation style which is almost more about the sound and energy than it is about the words. But many early music radio presenters liked that sound from what they’d heard on recordings, or indeed on Radio Luxembourg from the likes of Bob Stewart (often cited as an influence in my Conversations). Maybe this is why early music radio disc jockeys were often accused of faking mid-Atlantic accents. 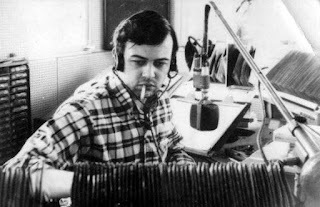 In the 60s, Tony Blackburn arrived with an interesting style, influenced, he says, by the likes of Pete Murray, but a touch of US influence in there too, perhaps owing in part to his love for American music. But this was still, overall, a very English sound, characterised by the smile in the voice. It wasn’t 'received pronunciation', but you knew he’d been to a decent school. Was it his real voice? It certainly is now. Like many of us of that generation, as time marches on, the real voice and the on-air voice fuse. Then - in the 80s - demo tapes all started to sound like Steve Wright. The United Biscuits network was an early berth for manypresenters who were to turn up in the first wave of UK commercial radio. The UBN sound manifested itself in the slickness of the approach and also the residual ‘sssshhhh’ at the end of words by the likes of Graham Dene and Roger Scott - and the many, in time, influenced by them. The BBC Reithian sound remained for years, and news and programmes right up until the '70s often bear that hallmark. One by one, those presenters have been replaced by those who still have the Radio 4 air of authority, but sound very less plummy. Sarah Montague on the Today programme these days is different from Margaret Howard or Sue MacGregor. 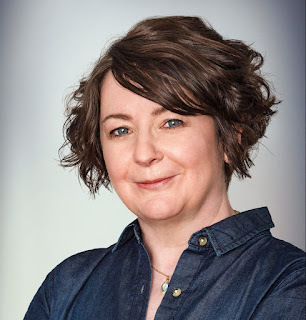 Side by side on Woman’s Hour, Jenni Murray is certainly a tad more 'proper' than the truly brilliant, heir to the throne, Jane Garvey. One thing’s for sure, never again will our news delivery sound like the fascinating speedy, high pitched and clipped delivery of the Pathe newsreels. Even where the individuals remain, their delivery changes during their career, as has society around them. Just as the Queen's cut-glass voice has changed hugely from her first radio appearances to the more conversational speeches these days, John Humphrys careful early efforts at a very proper BBC sound has evolved into a much more authentic listen. 'Received Pronunciation' speakers now are said to account for less than 2% of English speakers, and that's become the case on British radio. Authenticity is now key in radio. Energetic music radio now does not boast the deep ‘radio voices’ of yesteryear - and the US influence has waned. Delivery now is more real, albeit often shouting at the level they would in a busy club. Regional accents have now been rehabilitated, and class impacts less. Away from fast music radio, neither Jonathan Ross or Chris Evans could be said to have the 'classic radio voice'. Radio now hears ‘real’ voices - and that's probably a good thing for such a personal medium. The natural changes in delivery which are evident in British society generally are aired too: the 'uptalk' at the end of sentences; 'vocal fry'; and, notably, CapiTULL now has the ‘T’ it never had for its first thirty years.